Make Passive Income Online–How Long Does It Take To Make Money? How can I make passive income online? This is probably the most common question that I get asked. Right after that, the question is always the same–How long does it take to make money? There’s no problem here, those are the first two questions that I asked when I wanted to start making money online! So What Is The Right Mindset To Be Successful? Consistency And Patience Can Pay Off Big! It’s easy to think that you’re going to be able to make money online fast. Everywhere you look, there’s somebody selling a program that swears their system can do it! You’ve probably run into one or more of those programs that promise huge riches with very little effort. If you’re like me, you probably even tried one or two and probably lost money! But the videos are so convincing, and the people have to be making that kind of money with these systems because they can’t just tell bald-faced lies online, right? Wrong! Get-rich-quick schemes pop up all over the internet, and they can just disappear whenever there’re complaints and dissatisfied customers. Then they pop up under another name after being tweaked a little, and claim they’re the latest and greatest money making opportunity ever. 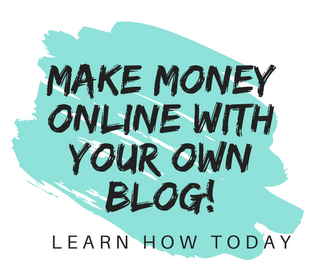 So if you’re looking for that one secret sauce in the recipe to make huge money online fast, you’ll never find it–because it doesn’t exist! But don’t feel bad or get discouraged, you’re just starting where everyone does. However, where some people get discouraged and give up, successful online marketers changed their mindset and got busy working on their online businesses! Anyone who’s ever made consistent, long-term income online knows that it takes commitment, effort, and time. You have to realize that you are starting a real business and not a hobby. In other words, you need to think like a real entrepreneur! Let’s say you like carpentry, so you decide you’re going to build houses for a living. You hire a crew that swears they know how to build houses really fast and buy a whole lot of equipment. Now you’re ready for the loads of customers that are soon going to be pounding on your door! This is the mindset of someone who is convinced that it’s easy to start a business and make money fast. You’ve been convinced that all you have to do is buy the right plans and somehow you’ll be able to build fantastic houses for all the people who line up to hire you! No one who is going to have a successful construction business would start it this way. Yet, this is what you’re doing if you believe that you can make money online by buying a too-good-to-be-true system or putting a few posts on a website. If you expect to get a ton of visitors to your site that all want to buy whatever you’re promoting, it’s not going to happen that way! So how successful do you think you could be when starting any business if you went into it with a realistic mentality? A construction business has huge capital outlays, and you need the kind of knowledge and skills that you only get from hard work and experience. Luckily, an affiliate marketing business has super low start up costs, and the time and effort you need to put in can be done at any time and from wherever you can access the internet! 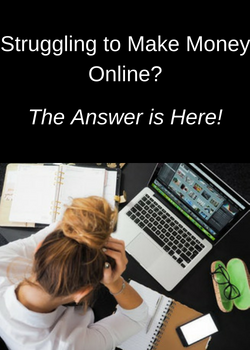 So even though you’re not going to be making money right away, you’re already ahead of the game with an online business! Some of you may be thinking that putting in the time and effort now isn’t worth it if you have to wait so long to see results. It can be very hard to stay motivated without seeing the light at the end of the tunnel. I felt the exact same way! So I looked for successful online marketers to give me inspiration and help me realize just how big my potential earnings could be if I just kept at it. One young man is a perfect example of how hard work, patience, and consistency can create a very lucrative stream of income no matter what your age or experience level is. Jerry Huang is a motivated young entrepreneur who is making several thousands of dollars every month, and it’s just going up and up! He also talks about how the right mentality is one of the keys to making an online business a success. You can get inspiration from his post, A Very Important Message For ALL Beginners! What Jerry has accomplished is amazing, and he’s happy to share his knowledge with others to help them become money-making online entrepreneurs. Wondering what the potential is for an affiliate marketing business? You can also read Jerry’s post that details how much money he made in just one week with Black Friday sales at Made $7,395 in a WEEK: First Black Friday Results! If you’re looking to make money online, you stand the greatest chance of becoming a success if you have the mindset of a real entrepreneur and treat your business like a business, not a hobby! Then it will be easier to stay motivated and make good decisions. One of the best decisions you can make is to check out my #1 rated program for your web hosting and training. You can create 2 websites with their starter membership and get access to their wonderful community of marketers who are happy to help you succeed–all with no credit card required! So there’s no reason you can’t get started today! Let me know what you think about making money online. Do you think the right mentality is one of the essential keys to being successful with an online business? Tell me in the comments below! Thanks for the article it is very helpful and motivating, I have always looked for a easy way to make money on the internet that will make me very rich, but I have lose a lot of money in the process without gaining anything in return, I have given up on making money from the internet but after reading this post now I understand it is due to my wrong mindset, I will try and follow the right way this time and I hope I will one day be earning a decent income from the internet, thank you very much for your post it is really encouraging. I started out the same way and lost a lot of money trying to make a couple of those programs work. Once I understood how easy it was for scams to exist online, I was able to see that I needed to stop believing them. I found Wealthy Affiliate and knew that it was legitimate within days of signing up for their starter membership. The value you get for your monthly fee is incredible, and I know I wouldn’t have a successful online business without them! Awesome post Janelle , I agree 100% on having the right mindset is Key . I chased quick money making programs over the the internet for years and failed miserably wasting time and Money . I am a current member of your number 1 rated program , Wealthy Affiliate and can positively say that from my experience the platform offers the best chance for anyone, no matter what their skill set is to make a passive income in any niche they choose. Thank you for spreading the word and helping people find a real legit online opportunity . I appreciate you sharing your experience with Wealthy Affiliate! It’s definitely a legitimate program and the best chance someone has for making money online. Janelle, I agree that the right mindset is definitely a big first step when you’re trying to build an online business. And, like any other business, you’re going to have to go all in — committing yourself to devoting a substantial amount of time and effort into the thing in order to make it real and to make it good. I think that inside every one of us there is a little kid that just loves the notion that somebody somewhere out there has hit it big and made an enormous $ucce$$ of it without putting in a lot of slog-slog-slogging. Even though we know better, we still want to find a short-cut past the boring, the painful, and the hard. Whenever I run into yet another scam thing that assures me this person or that one has THE perfect easy-peasy system that is guaranteed to work all by itself to pull in the big bucks and he or she is going to share all of this knowledge (for a moderately large fee), I do remind myself that Mama was probably right: You don’t get to good unless you can get down and dirty, dig in, and go for the hard. I love how you said it, and I think your Mama had it exactly right! Voice Cash Pro Review–$9800 A Week Working 30 Minutes A Day?